What is the Biggest Killer among the Retired in America? You might not believe it, but regardless of how much money you have saved, how carefully you have looked after your health, no matter where in the world you decide to live, there is one thing among American retirees that kills more people than just about anything else and it’s not what you think it is. This common problem is the same as smoking almost a pack of cigarettes each day, never getting off the sofa, or drinking to excess everyday. In fact, this problem outweighs obesity but is something no one talks about. What is this deadly problem? Don’t shrug and hit the back button, hold on a minute. This isn’t junk science or some television guru gobbledegook. This study was done by Merrill Lynch and Age Wave back in 2013. First, a group of soon to be retired persons were asked what they thought they would miss most when they retired. As you can imagine, “A reliable source of income” topped the list, with “Social Connections and Interactions” coming in a distant second. 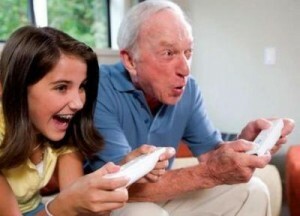 However, when a recently retired group of people was asked what they now miss the most, “Social Connections and Interactions” topped the list, with that good old reliable income coming in second. This shows that what most people “think” is the most important thing before they retire quickly loses its importance once people leave the workforce. In fact, in another study by MLAW, retirees said that it wasn’t so much what they were doing during the day, but who they were doing it with. Which means that if it came down to going to a baseball game alone or going to pick up trash on a highway with your grandchildren, most people are inclined to choose the later. This is what is being called “The New Social Security”, which is the value that social relationships have to physical and mental health. This has been shown to be an important factor in numerous studies. One of the interesting things that this study found was that, if you are married, you are more than likely to get most of your pleasure from your family – your kids, your grandkids, your spouse and perhaps even in-laws. This means that if you had planned on moving away to the country or to the beach or even to a foreign country, you should think twice about those plans if it will take you far away from your family. You should either start considering moving to where your family/children are or, if they are spread out, consider the costs of travel as a part of your retirement plan. 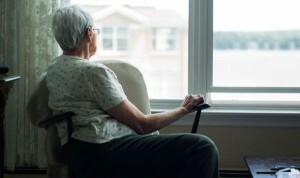 Studies have shown that retirees who believe that they will “love the peace and quiet” of living alone or at least far away from family and friends, are often the ones who find themselves suffering from depression, high blood pressure, and even more serious problems such as cardiovascular issues and cancer. Being socially interactive lowers the risk of Alzheimer’s, reduces blood pressure, and reduces the risk of developing mental health issues. Find ways to stay socially connected, even after you retire. Visit the ones you love as often as possible and invite them to your home as well. Even if finances make this impossible, stay connected with Skype, Snapchat, phone calls, even old fashioned snail mail. The benefits of staying in touch with your loved ones are just as important as regular visits to the doctor and getting regular exercise. 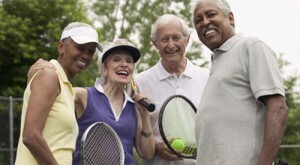 Reach out to friends, family, even neighbors and stay young at heart!